Joshua Hagler’s work has ranged in focus from religious fundamentalism in America to the history of Westward Expansion, notions of progress and exploration, collective cultural mythologies, and the poetics of theoretical physics. While focusing on painting, his work expands into installation, video, animation, fiction, and poetry. Since 2006, Hagler has exhibited and lectured at galleries, universities, and museums throughout North America, Europe, and Australia, including a long list of solo exhibitions. He has participated in several residencies including LKV in Trondheim, Norway, Studio System at Torrance Art Museum in Los Angeles, and, this year, MICA’s Alfred and Trafford Klots Program for Artists in Brittany, France. Work has been featured in the New York Times, San Francisco Chronicle, Art Ltd., Juxtapoz, and a range of other publications. His open-call project proposal for a major installation and exhibition was chosen by the Brand Library and Art Center in Los Angeles to debut in July, 2018. The project is currently underway at the artist’s studio in Roswell. I want now what I have always wanted: scissors and someone to write to. Matches and someone to write to. I mean the bowl I’m carrying is broken and filled with feathers. Whatever God is, something gentle inside something ruined in the mind. 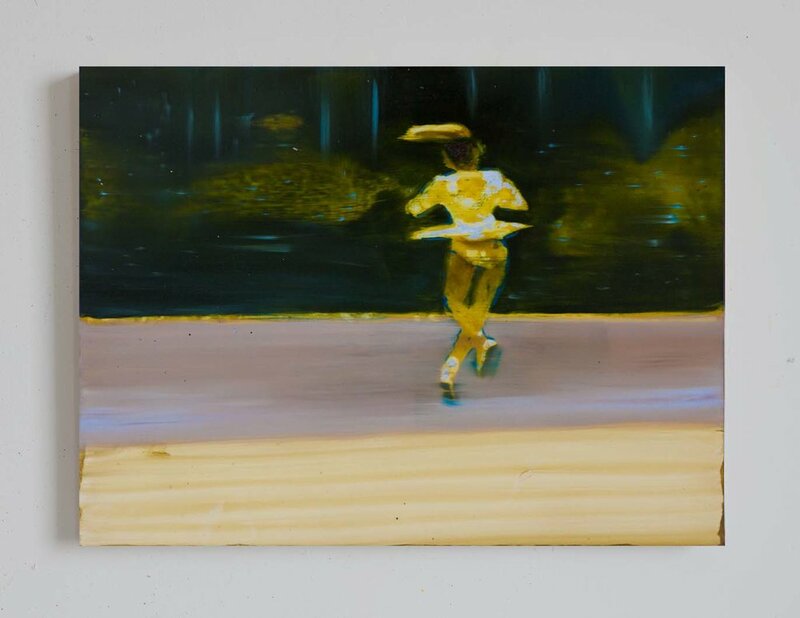 In Love Letters to the Poorly Regarded, Joshua Hagler presents a group of new paintings, each addressed to specific individuals such as Tonya Harding, Zachary and Nicholas Cruz (Parkland school shooter and his brother), and even his own great great grandfather Arastas. Several large canvases around eight by nine feet depict a range of subjects from Harding’s famous triple axel to the Cruz brothers hugging each other in a police interrogation room. Hagler layers history, politics, and mythology in the work, literally stripping away layers of paint to reveal the history of the painting itself. In Longlegs, a large mixed-media canvas, the artist references an early photograph of Arastas who is known to have purchased a Cherokee woman to be his wife. The Native American myth of the Great White Long Legs, who is described by the wandering spider Iktome as having legs full of cleverness, but no wisdom, is layered into the work and informs the artists’ imagination of his forebears. Hagler’s “love letters” lean into those he imagines few would want to be associated with but toward whom he is inexplicably drawn. The move rejects intense Art World expectations that art should abide by approved ideological frameworks, proffering instead that art ought to resist merely reaffirming safe political convictions, even if it means implicating oneself. The work does not try to justify its subject matter, but rather seeks, more simply, to touch it.